Portable downdraft tables offer the versatility of a portable dust collector together with the outstanding source capture performance of the downdraft table. 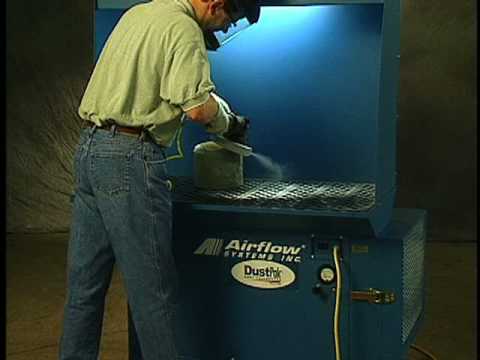 Hastings Air Energy supplies portable downdraft tables for a variety of contaminants, from wood dust to welding fume and smoke. Hastings Air Energy offers portable downdraft tables with various configurations and filter types, depending on the needs of the application. The DTH Series of Portable Downdraft Tables utilizes high-efficiency cartridge filters for general industrial use; the Easy Bench features panel filters for many kinds of close, fine work; and the DFW Portable uses panel filters specifically for woodworking applications. Portable downdraft tables are used by a variety of industries for welding, soldering, woodworking, grinding, sanding, finishing, and blending.